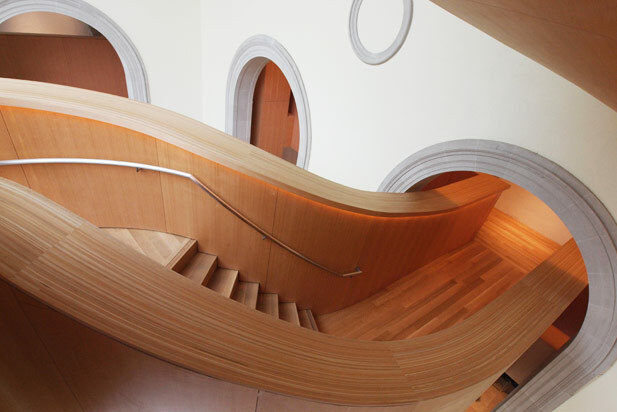 Frank Gehry’s redesign of the Art Gallery of Ontario is among the most ambitious and celebrated Canadian architectural projects of the past decade. Among the building’s defining features is the sweeping exterior staircase that dramatically extends from the building’s rear facade, overlooking Grange Park. 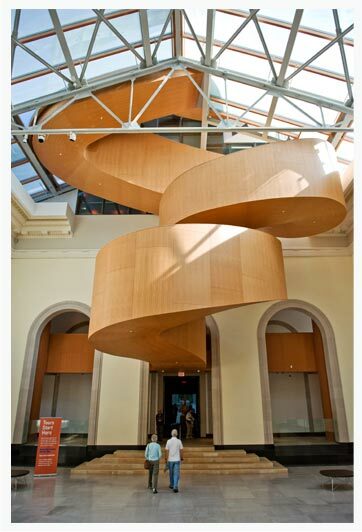 The staircase was manufactured locally by Mariani Metal Fabricators, a sought-after partner in world-renowned building projects across North America. Mariani required a carrier whose exacting standards, attention to detail and enthusiasm for innovative problem solving was equal to its own—and found it all in Paddock Transport International. Paddock was asked to move every component of the delicate, oversized staircase safely, securely and on time—twice. The staircase is anything but standard. It is composed of 22 curved segments, each unique in shape and all oversized (the largest is 14′ by 15′). The staircase may be dramatic but, thanks to Paddock, moving it was not. Paddock first transported the staircase from Mariani’s location in Etobicoke to Bolton, Ontario, for sandblasting and painting. Next, the Paddock team moved the 22 freshly finished pieces safely to their new home in the heart of Toronto. It took careful, creative planning and flawless execution to ensure the large, fragile staircase sections were safely secured for transport and delivered according to strict timelines to their final, high-traffic downtown destination, including obtaining permits and police escorts. Paddock’s relationship with Mariani continues today, with delivery of over-dimensional components for a new convention centre in downtown New York City. Paddock has also helped Mariani with the logistics required to transport staircase components for a signature casino project in Las Vegas.